but we are also . . .
Today, Carr Printing Co. is recognized nation-wide for its yearbook publishing, state-wide for its election ballots and supplies, inter-mountain-wide for its commercial large format, full-color printing, and county-wide for its convenient, local telephone directories. In addition we offer creative design, variable data digital printing, fulfillment and mailing service, and on-line marketing. 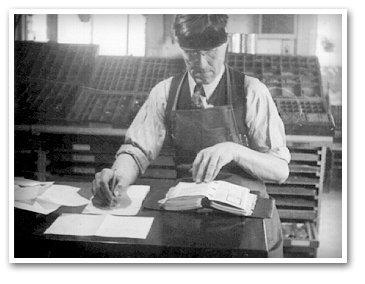 In 1890, equipped with only a Challenge Job Press and a few fonts of handset type, Lamoni Call opened a print shop in a corner of his workshop in his Bountiful, Utah, home. In 1905 Willard Carr married Mr. Call's daughter, Annie, and in 1907 Willard and Annie acquired the print shop and renamed it Carr Printing Co. In subsequent years sons and grandsons grew up in the business as it grew to a full letterpress shop; then to photo-offset prepress and offset presses. At the present time, fourth generation cousins, Lowell and Lloyd Carr, serve as chairman and president respectively. 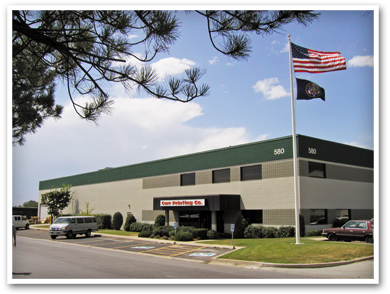 They, along with non-family managers and fifth generation sons working in key positions, direct the work of 70 full-time employees, with a full range of digital pre-press and press equipment, and a wide range of binding and finishing options in a recently expanded 60,000 sq ft building.